San Martin was born in 1579 in Lima, Peru to a Spanish nobleman and a black woman from Panama. He entered the Dominican Order as a lay brother and served for many years as cook, porter, and infirmarian. 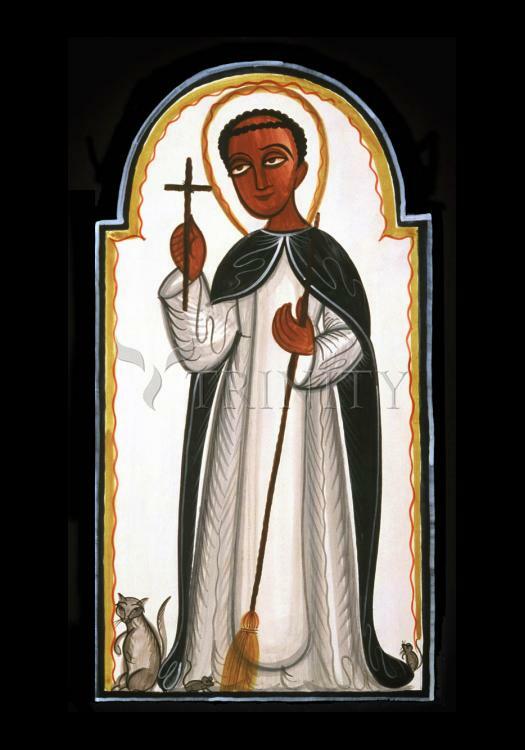 Martin was known for his devotion to penance, great spiritual wisdom, and spiritual gifts such as the reading of hearts, bilocation, and healing. He was also known for his great compassion for the poor and the lowliest of creatures including mice and the kitchen cat.